The Supreme Court granted the state’s petition for certiorari in this Arizona capital case, and held that the Ninth Circuit abused its discretion by failing to issue its mandate in accordance with Federal Rule of Appellate Procedure 41(d)(2)(D). Pursuant to that rule, “‘[t]he court of appeals must issue the mandate immediately when a copy of a Supreme Court order denying the petition for writ of certiorari is filed.” (emphasis by the Court). In this case, however, the Supreme Court’s final denial of a request for review of the Ninth Circuit’s decision denying habeas relief coincided with Schad’s filing of a request that the Ninth Circuit stay its mandate “in light of a pending Ninth Circuit en banc case addressing the interaction between Pinholster and Martinez.” In response to that request, the Ninth Circuit declined to grant the stay Schad sought, but instead “decided sua sponte to construe [the] motion ‘as a motion to reconsider our prior denial of his Motion to Vacate Judgment and Remand in light of Martinez,’ which the [Ninth Circuit] had denied on July 27, 2012.” After additional briefing, the Ninth Circuit remanded the case for further proceedings in light of Martinez v. Ryan, 566 U.S. 1 (2012). Relying on Bell v. Thompson, 545 U.S. 794 (2005), and Calderon v. Thompson, 523 U.S. 538 (1998), the Supreme Court emphasized the finality, comity and federalism concerns reflected in a court of appeals’ obligation to issue its mandate upon the conclusion of habeas review of a state court judgment. Without deciding the existence or scope of any exceptions to that obligation, the Court observed that, “[e]ven assuming a court of appeals has authority to [deviate from the mandate requirement], it abuses its discretion when it refuses to issue the mandate once the Supreme Court has acted on the petition, unless extraordinary circumstances justify that action.” (quoting K. Weyble & J. Blume, New Habeas Developments, July 1, 2013). 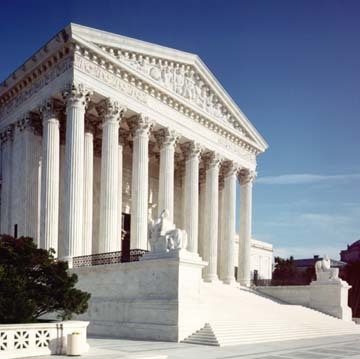 On October 29, 2012, the U.S. Supreme Court agreed to hear a death penalty case from Texas to determine whether inmates there can raise claims of inadequate trial representation in federal court if they were effectively prevented from raising such a claim in their state appeal by the further failure of their appellate lawyers. Lower courts considering this issue have held that an earlier Supreme Court ruling, Martinez v. Ryan (2012), which provided such a right in an Arizona case, does not apply in Texas because defendants have multiple opportunities to claim their lawyers failed them. Carlos Trevino's current lawyers argue that there was a great deal of mitigating evidence that the trial lawyers failed to find and present at trial. Six other Texas death penalty cases were sent back by the Supreme Court to state court for reconsideration in light of Trevino: Washington, Willie Balentine, John Ayestas, Carlos Haynes, Anthony Gates, Bill Newbury, Donald. Other cases GVRd for Trevino: Dansby v. Hobbs (Ark.) Smith v. Colson (Tenn). (M. Chammah, "Supreme Court to Hear Texas Death Row Inmate's Case," Texas Tribune, October 29, 2012; A. Liptak, "Divided Court, in 2 Rulings, Makes It Easier to Challenge Criminal Convictions," New York Times, May 28, 2013). See Representation. Read full text of the Court's opinion. Based on an earlier Court decision (Ford v. Wainwright (1986)), if an inmate is mentally incompetent at the time of his execution, he may not be put to death. 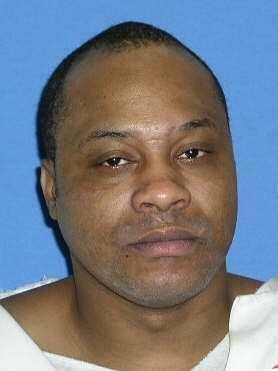 For the third time, the execution John Balentine in Texas was stayed with a day or less remaining. An hour before he was to die on August 22, 2012, the U.S. Supreme Court halted the execution to allow more time to review his petition about ineffective representation. In 1999, Balentine was given a death sentence after a penalty trial lasting one day, in which his attorneys called no witnesses and presented no mitigating evidence. Read Balentine's petition to the Supreme Court. Read Governor Lincoln Chafee's (R.I.) petition to the U.S. Supreme Court requesting review of a lower court decision ordering him to turn a prisoner over to the federal government for death penalty prosecution. The governor originally declined to surrender the defendant, Jason Pleau, because Rhode Island has elected not to use the death penalty. (Chafee v. U.S. (2012)). UPDATE: The Court declined to review the decision of the U.S. Court of Appeals for the First Circuit requiring the governor to hand over Pleau to federal authorities for prosecution. (Jan. 14, 2013).